After Kramer opens up a smoker’s lounge in his apartment, he believes he has a face-case against the tobacco company for failing to warn him that smoking could cause him to lose his allure, his twinkle, and turn his face into an old catcher’s mitt. But, despite being represented by the splendid, magnificent attorney Jackie Chiles, the tobacco company’s lawyer Ms. Wilkie makes Kramer a settlement offer without first contacting Mr. Chiles. 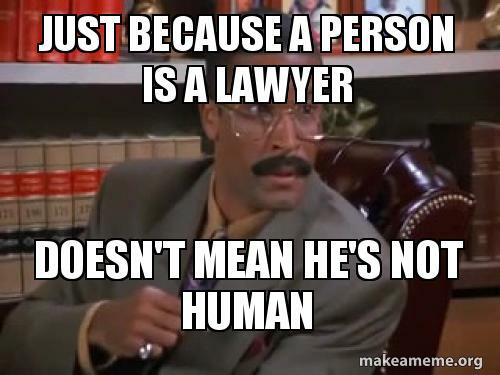 Did Ms. Wilkie violate rule 4.2 of ABA Model Code of Professional Responsibility and Rule 4.2 of the New York Code of Professional Responsibility by communicating with Kramer directly and not making the settlement offer through his lawyer Jackie Chiles? While this may seem a little puzzling, it simply means that if a person is represented by a lawyer then opposing counsel must contact the lawyer, and not the client, to speak about the subject of the suit. If A is suing B, and A has hired a lawyer to represent him, then B’s lawyer is prohibited from contacting A directly to talk about the case. Rather, B’s lawyer must contact A’s lawyer. Here, Kramer is represented by Jackie Chiles, and therefore Ms. Wilkie, the lawyer for the tobacco company, is prohibited from contacting Kramer. If she ran into Kramer at pipe night, then they could chat casually about other matters. But if she wants to have a pow wow to talk about Kramer’s crinkly, craggly face, she must contact Jackie Chiles. However, as the both the ABA Code and the New York Code note, there are two ways Ms. Wilkie could defend herself if Jackie Chiles wanted to accuse Ms. Wilkie of an ethics violation claiming she is a horrible, twisted freak for breaking the rules. The first is that she could claim that she did not know Kramer was being represented in this matter. However, it would be incredibly difficult for Ms. Wilkie to convincingly claim this, as Jackie clearly acts as Kramer’s lawyer during their meeting, and Ms. Wilkie even says directly to Mr. Chiles “all right, Mr. Chiles. You’ll have our offer by tomorrow,” indicating that she knows Jackie is Kramer’s lawyer. The second defense Ms. Wilkie could claim is that she had Jackie’s consent to contact Kramer directly. But this would also be difficult to claim, as Mr. Chiles gave no such indication. So is Ms. Wilkie going to be flicked into the ashbin of society? Well, the final question that needs to be answered is whether Ms. Wilkie is actually the lawyer for the tobacco company and not just a regular employee. If so, the ethics codes wouldn’t apply to her. When addressing Ms. Wilkie, Mr. Chiles says “your tobacco company,” and later Kramer refers to her as “Ms. Wilkie from the tobacco company.” Both of these statements strongly imply that Ms. Wilkie works for the tobacco company and may not be a lawyer. However, Ms. Wilkie could be an in-house counsel for the tobacco company, allowing her to be both an employee of the tobacco company and the lawyer representing them. Therefore, it seems that Ms. Wilkie is in violation of both the ABA Model Code and the New York Code, and there a few different mountains of public humiliation for which she could be subject to. A tribunal could confine her or cram her into a corner, but more likely she would be put on probation, suspended, or potentially even disbarred. A number of factors would go into a tribunal’s decision on how severe the punishment should be. Given that Ms. Wilkie intentionally tried to get Kramer to agree to the settlement in a way that was against the rules, and the offer was clearly below what a trial would have likely awarded in compensation, a tribunal would probably impose a high punishment. Additionally, Kramer may be able to seek damages and cash in way on his wretched disfigurement, or use his rugged masculinity to convince a court to have the settlement nullified. Ms. Wilkie should have spoken to Mr. Chiles about the settlement offer. But she could have advised her client, the tobacco company, to speak with Kramer directly. The New York Code and the ABA allow for a lawyer to direct their client to speak with the represented party without the consent of the attorney. As long as it is only the parties speaking to each other, and no lawyers involved, then that would comply with the rules. If you’ve enjoyed this post, please check out some of our other posts like Oral Contracts and “The Puffy Shirt,” Hate Speech and “The Yada Yada,” or Write Offs and “The Package.” You can experience a lifetime of law in less than 72 hours! I’m glad to know I’m not the only one who thought of this conundrum! IMHO, the whole settlement should be vacated as procured in violation of Rule 4.2. Jackie Chiles clearly represented Kramer! 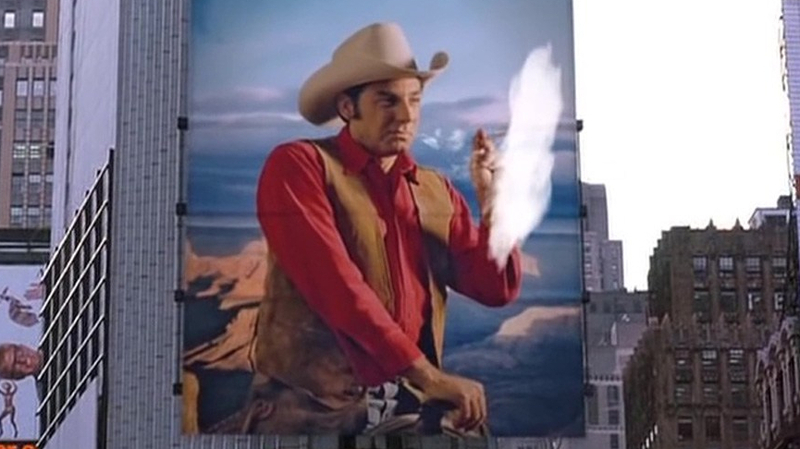 Big tobacco clearly knew Kramer was represented. Well done and well written. Thanks for sharing!